“I love this shop. It's clean, organized and everyone is in uniform and professional in appearance as well as manner. I have been coming here for over two years (since moving to San Diego) and cannot imagine taking my Lexus anywhere else.” -- Arlis T.
We are proud to be the auto repair shop of choice for Lexus owners. Our auto mechanics have honed and refined their skills in the repair and maintenance of these vehicles. We can immediately spot a current or potential issue, identify the underlying cause, and, with your permission, perform the necessary auto repair. Throughout the entire process, we keep in constant communication with you via email, text, or telephone. We will make sure you understand what’s wrong with your Lexus and how we plan to make it right. Lexus owners, like you, know they can rely on receive stellar auto repair and customer service at John’s Automotive Care. Our highly-qualified and trained auto mechanics are leaders in the automotive industry. Our team consistently earns fantastic reviews and testimonials from satisfied clients and takes great pride that clients choose us as their leading auto repair service center. We hope that you choose us as your premier car repair service center, too. 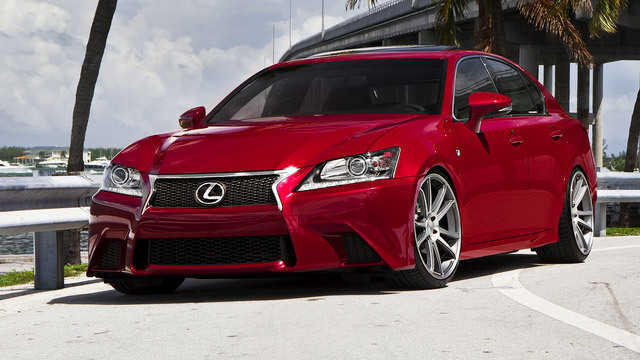 To schedule an appointment for your Lexus auto repair service, call us at (619) 304-0815. Visit John’s Automotive Care at 6267 Riverdale Street, San Diego, CA 92120.